Fill the walls of your home or office with stress-reducing works of art! 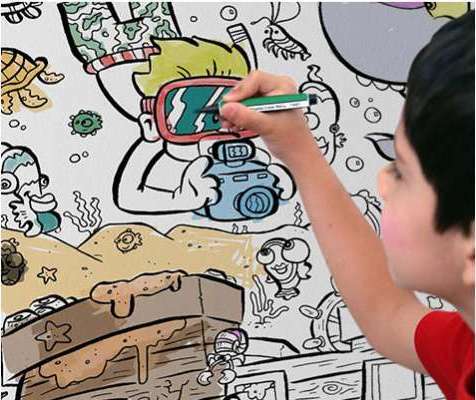 Give kids what they want: a chance to color on the wall without getting in trouble! Fill the walls of your home or office with stress-relieving Coloring Wallpaper that’s great for kids of any age and is easily removable when you’re ready for a new look. Cover a wall or simply accent part of it with a single strip. Our Coloring Wallpaper is compatible with both markers and crayons.